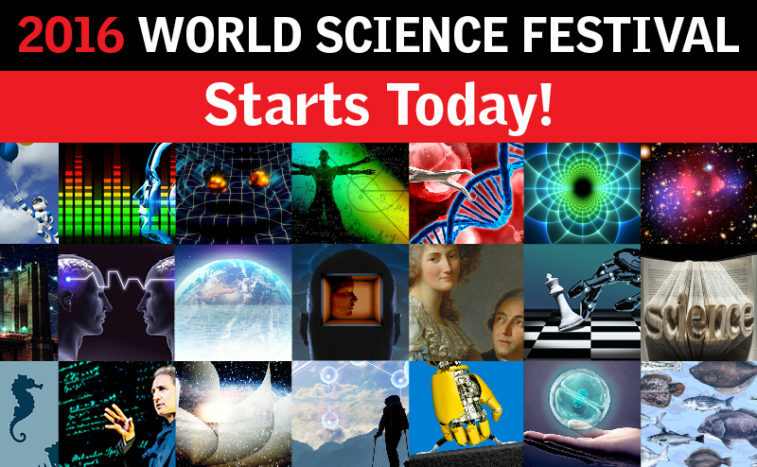 DNA Splicing, Brain Waves, Biochemistry & More: World Science Festival is in NYC, Streaming Presentations Online « Adafruit Industries – Makers, hackers, artists, designers and engineers! The World Science Festival is underway in New York City, with 50 events over 5 days happening at multiple venues throughout the boroughs. A significant number of talks & presentations will be livestreamed online for free – you can find that full list of programming here by clicking the ‘watch online’ filter, or sort day-by-day if you’ll be in town and want to attend. Here’s a snapshot of what’s on course for today – this is just getting started, with the bulk of the programming being on Friday and the weekend. Parents may be inclined to attend the Street Science portion of the festival around Washington Square Park on Saturday from 10AM-6PM, with over 30 hands-on activities for kids of all ages.